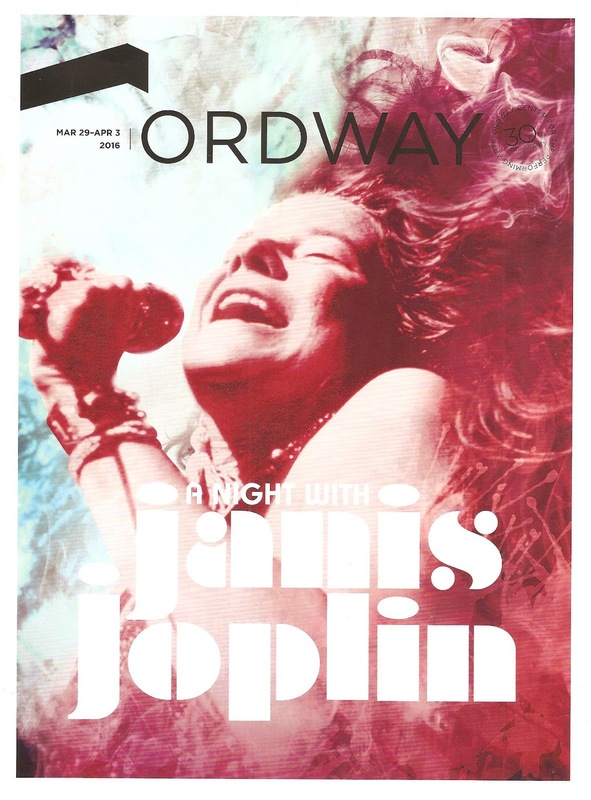 A Night With Janis Joplin, the short-lived 2013 Broadway musical that's finding new life on tour, is just that. But it's not just a concert featuring one of the all time Rock and Roll greats that was taken from us too soon. This is also Janis Joplin's origin story. In between songs she tells us about her musical influences growing up, mostly female blues singers, with a few musical theater references thrown in for us theater geeks. Thanks to Randy Johnson's well-constructed book, we also get to witness these women sing their signature songs, often followed by Janis' take on the song. This really allows you to see where Janis is coming from and how she adds her own unique sound to the songs that inspired her. It's a celebration not just of Janis, but of the women of blues. Tony nominee Mary Bridget Davies reprises her role as Janis, and she is a force of nature. She commits fully to the character and sound of Janis - throaty growl, sweaty hair sticking to her face, body contorted as the music makes its way through her. One wonders how she is able to do that every night and not completely shred her vocal chords. But it pays off as she has the audience in the palm of her hand in her uncanny performance as a beloved voice from the past. The back-up singers are no joke, either, with all four of them taking turns shining in the spotlight (and giving Mary a break from this vocal marathon). Cicily Daniels gives us Odetta and Bessie Smith, Tawny Dolley is Etta James, Q. Smith channels Aretha and Nina Simone (whose recent portrayer Regina Marie Williams was spotted in the audience), and Jennifer Leigh Warren teaches us what the blues is all about. I thought this was going to be a one-woman show, but it's a five-woman show. I love it when the band is not only onstage, but a part of the show, as this rockin' awesome band is, led by musical director Mark Berman. The eight band members, including a horn section, are decked out in late '60s bell bottoms and long hair, and put on quite a show as they jam with Janis. Speaking of wardrobe, costume designer Amy Clark has recreated Janis' hippie-chic look through several costume changes, as well as creating diverse looks for the different era jazz singers. The show almost reminds me of Hedwig and the Angry Inch (which is coming to the Ordway next year), in that it's structured as a concert backed with a band, with the lead singer walking us through the story of her life. Of course Janis was a real person, with perhaps a less tortured past. The show is a lot of fun that Janis fans are sure to love. And even though I wasn't that familiar with her music or her story, I found that it really creates a portrait of the artist that was Janis Joplin, while entertaining the crowd with her greatest hits like "Piece of My Heart," "Me and Bobby McGee," and "Mercedes Benz." The Ordway audience is not particularly known as a get up and dance sort of crowd, but when Janis Joplin urges you to stand up, you do just that. 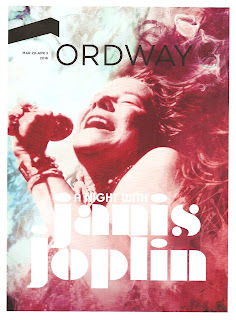 A Night with Janis Joplin continues through this weekend only.